WHEN IT COMES TO NUTRITION, I LIKE TO KEEP THINGS SIMPLE. I SAY SIMPLE, BECAUSE IT SHOULD BE SIMPLE, AND IS SIMPLE. PEOPLE SAY THAT IT IS MORE EXPENSIVE TO EAT GOOD. I SAY THAT IS A BUNCH OF BULL. I SPEND LESS EATING HEALTHIER THEN BUYING ALL THAT JUNK AND PROCESSED STUFF. HOW MUCH DOES FRESH LETTUS AND VEGGIES COST? NOTHING COMPARED TO HOTDOGS AND LOW QUALITY RED MEAT, CHIPS, SODA, PROCESSED COLD CUTS AND GLUTEN FILLED PRODUCTS. TODAY'S SOCIETY TRULY COMPLICATES THINGS. TERMS SUCH AS, ALL NATURAL, ORGANIC, NO TRASNS FATS, LOW CHOLESTEROL, LOW SALT, NO SALT, LOW FAT ETC. , ONLY TENDS TO CONFUSE THE GENERAL PUBLIC. I HAVE SEEN ON PEANUT BUTTER JARS " NO CHOLESTEROL" WELL PEANUT BUTTER NEVER CONTAINED CHOLESTEROL TO BEGIN WITH PEOPLE! I AM NOT A NUTRITIONIST, BUT MUCH OF IT IS PRETTY STRAIGHT FORWARD IF YOU SERIOUSLY LOOK INTO IT. TODAY IN THE WORLD OF COMPUTERS, YOUTUBE, GOOGLE, ETC. YOU CAN SEARCH JUST ABOUT ANYTHING, AND DO YOUR OWN RESEARCH TO DETERMINE WHAT IS GOOD AND BAD. AS AN ATHLETE, AND A PERSON WHO IS VERY CONCERNED ABOUT WHAT I PLACE INTO MY BODY, I CHOOSE TO KEEP THINGS SIMPLE. I WOULD TAKE MY CHANCES ON LOCAL PRODUCE INCLUDING VEGGIES AND FRUITS, DAIRY AND LEAN MEAT STRAIGHT FROM THE FARM ANYDAY. IF YOU MUST PURCHASE PACKAGED SNACKS AND OTHER FOODS, READ THE LABELS. IF YOU ARE SPOTTING INGREDIENTS YOU CANNOT EVEN PRONOUNCE, PUT IT RIGHT BACK ON THE SHELF. REMEMBER, THE FIRST INGREDIENTS LISTED ARE THE ONES THERE ARE MOST OF IN THE FOOD. ONE OTHER SUGGESTION, IF YOU SEE ANYTHING THAT SAYS "HIGH FRUCTOSE CORN SYRUP" IN IT, PLACE THAT SUCKER RIGHT BACK ON THE SHELF TO! HIGH FRUCTOSE CORN SYRUP IS ONE OF THE MOST DANGEROUS FORMS OF CARBOHYDRATES THER IS. IT'S GARBAGE AND SHOULD BE OUTLAWED! IF YOU NOTICE, FOOD MANUFACTURES PLACE IT INTO EVERYTHING INCLUDING BREAD, CEREALS, SNACKS, ETC. FOR ME? I STICK TO REAL FOOD. THIS IS NOT ROCKET SCIENCE. 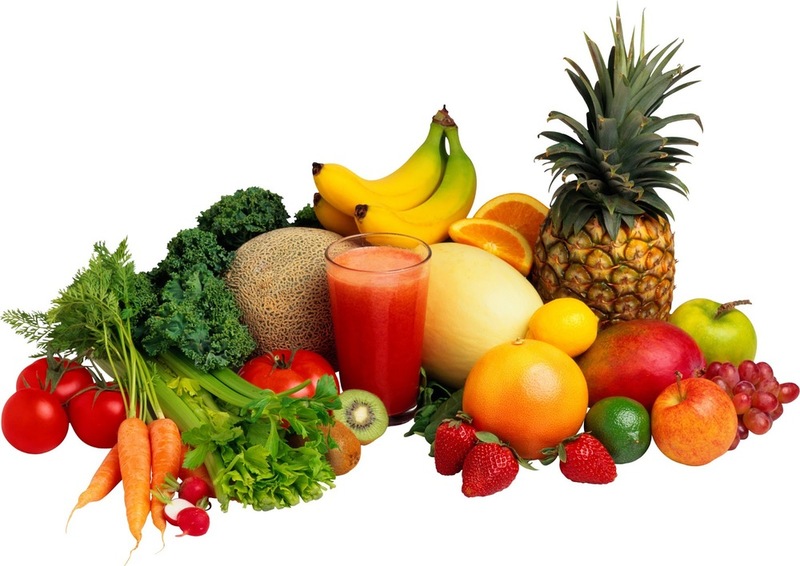 REAL FOOD SUCH AS VEGETABLES, FRUIT, DAIRY, LEAN MEAT, SEEDS, NUTS, WHOLE GRAINS, ETC. FOODS IN THIER MOST NATURAL STATE AS POSSIBLE. FOODS THAT ARE UN-REFINED AND UN-BLEACHED. FOODS THAT ARE NOT OVERLY PROCESSED, OR DO NOT CONTAIN HARMFUL ADDITIVES, PRESERVATIVES, ARTIFICIAL COLORS AND FLAVORS. SO THOSE OF YOU THAT ARE FOOLED BY ALL THOSE FANCY LABELS CLAIMING THIS AND THAT, JUST PURCHASE THE REAL THING. AS FAR AS PROTEIN POWDERS, AND SUPPLEMENTS, BE VERY CAUTIOUS. LOOK AT THAT STUFF! DOES IT LOOK AND SMELL LIKE REAL FOOD TO YOU? THESE SO CALLED PROTEIN POWDERS AND MUSCLE BUILDING FORMULAS ETC ARE JUST A BUNCH OF BULL. UNDER THE DIETARY SUPPLEMENT HEALTH AND EDUCATION ACT OF 1994 (DSHEA) ,THESE COMPANIES IN GENERAL ARE NOT REQUIRED BY THE FDA FOR APPROVAL BEFORE THEY MARKET AND SELL THIER PRODUCT. THESE SUPPLEMENT MANUFACTURES MUST TAKE IT UPON THEMSELVES TO ENSURE THIER PRODUCT IS SAFE BEFORE THEY MARKET IT. IT IS BASICALLY SELF-REGULATION. ANYTHING GOES. AS LONG AS THE PRODUCT LABEL DOES NOT MAKE ANY MEDICAL CLAIMS OR SUGGEST THAT THE PRODUCT CAN CURE OR PREVENT A DISEASE. I BELIEVE THE LATE JACK LALLANNE ONCE SAID, "IF MAN MADE IT, DONT EAT IT". SO MY SUGGESTIONS TO YOU? DON T BE A FOOL. LEARN HOW TO READ FOOD LABLES, AND DONT BELIEVE WHAT YOU HEAR FOOD MANUFACTURES TELLING YOU. LOOK IT UP YOURSELF ON THE INTERNET, READ TEXTBOOKS ON NUTRITION, SPEAK TO A NUTRITIONIST OR TALK TO YOUR DOCTOR, AND BY ALL MEANS SUPPORT YOUR LOCAL FARM AND PURCHASE GOOD, CLEAN, FRESH WHOLESOME FOOD. ENOUGH SAID! THIS LOOKS LIKE REAL FOOD TO ME!